Hi everyone! I recently attended an Entrepreneurial Intensive for Farmers hosted by the Farmers Guild. It was a very intense 2 days of business planning, food safety regulations, sales, and marketing information. It was hosted in Humbolt, in the very North section of California. I drove up by myself and had the most relaxing, beautiful drive through the "Avenue of the Giants", which is a scenic highway running through Humboldt Redwoods State Park. The first session of the intensive was "Business Planning and Starting a Farm" with Alan Haight. Alan Haight is the founder of River Hill Farm, which is a successful farm that was started in 2001 in Nevada City. I want to share with you the wonderful knowledge that Alan shared with us. He opened by saying a statement that stuck with me: "Farmers are the mediators of the relationship between land and humans." and "The failure of a farm is the failure and huge loss to a community". 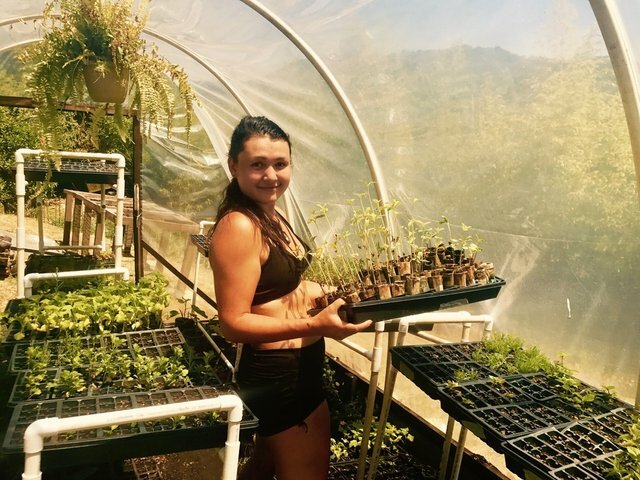 If vegetable production is not possible (due to water, food safety issues, ect), you can plant cut and grow flowers, medicinal herbs, and fruit trees for market. If you want to do more than grow and sell veggies (ex having farm community days, having an educational component to your farm), you still need to grow and sell veggies! Other projects have a potential to become a distraction and take too much of your time and energy. You need to match market needs with the type of crop and amount grown. Alan typically hires one person per acre to work full time. A variety of shapes and colors of produce is key for a farmers market stand, since the visual variety catches peoples' eye and draws them in. Always be asking yourself - what crops are a black hole for labor time? Ex) strawberries take a lot of time to pick so it may be draining money and time out if you choose to have a strawberry farm. The solution? Only grow and sell these crops if you do a "pick-yourself" model. Send out a monthly newsletter and include unique recipes for the crops you are currently growing. To CSA or not to CSA? Alan is anti-CSA. He stated that a CSA requires you to grow about 70 crops per season to retain customers. This is a lot of crop planning and effort to make sure everything is coordinated. Instead, you can do a "build-your-own" CSA box at your farm stand or farmers market. There are different ideal tray sizes per crop. In general you want to use a 1020 tray, and then fill the 1020 tray with certain sized cells. The average size cells inserts are 72 cells per 1020 tray. Certain crops can go smaller. For example, Alan uses 200 cell inserts in a 1020 tray for his basil transplants. On Alan's farm, the harvester is also usually the packer of that specific produce. He prefers to give people autonomy over their job by diversifying their workload and giving them a "whole process" job. After going to market, take notes of what actually sold to re-evalute the "harvest list" template for the next week. Get an accounting system. Alan recommended Xero. Have a "sales" excel sheet. Include the crop, price per pound or bundle, amount sold, and total revenue. The price per pound may vary depending on who you sell to. For example, you may sell your tomatoes for $x cheaper per pound when selling large quantities to restaurants than when selling to individuals at farmers markets. Plant cut and grow veggies (like lettuce mixes) if you want to maximize the output of every squarefoot of your farm. Very interesting, lot of details and informations, thanks for sharing, i've learn a lot. we started one at Umass Amherst. a lot of work to get going. Is it self sustaining or what? What a wealth of information here in this blog. I don't seek to be a farmer or someone who will sell vegetables and herbs but I do want to have my own garden for some tomatoes, squash, potatoes, just to eat for myself. These tips are still helpful to me about testing the soil and what not too. Another thing I want to have is a hen house for chickens to lay eggs for me. I'm so happy to hear this! I hope you get chickens soon :-) I've loved having chickens, and we recently got a couple of ducks as well. 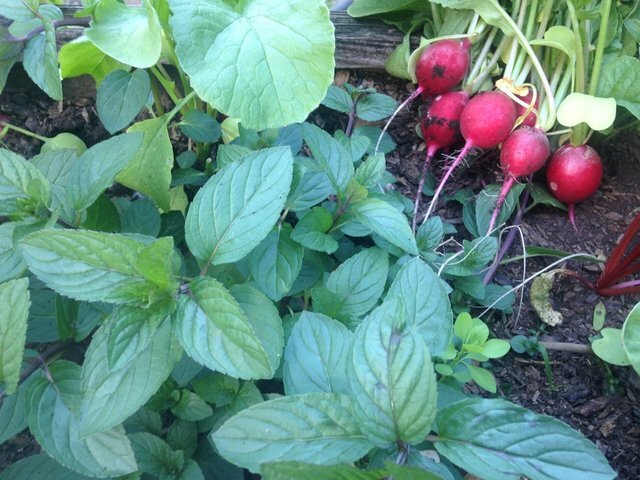 I grow comfrey as supplementary feed for my chickens, which is an all around wonder plant. It can be very hot in many parts of Cali. It was 108 in the Sacramento Valley today. I don't think a greenhouse is meant for summer, only cold weather growing. But like I said, I think, could be wrong. I think greenhouses are mostly to extend the growing season by making it warmer, but depending on the cover color, material, and design they can accomplish other things like light and moisture management. California weather is always surprising me. I live in the Bay Area and a drive of 15 miles can shift the temperature 20-30 degrees! Ok yeah, extend the growing season. Maybe in the summer open it up and put some shade cloth on it for plants that don't like so much direct sunlight. I lived in Napa for a while years ago and commuted to Vallejo. When we first moved there, being from the Sacramento area, I'd get up for work, see a nice sunny morning and think oh, a beautiful day. Then I'd drive to work, and it was cold and overcast and it didn't burn off until about noon. I learned to keep a light jacket in the car. I looked at your post and responded to it there. It's a good one! Awesome conversation! Yes - it'll definitely get too hot in parts of California to use a greenhouse in the summer. I saw a friend use hers as an herb drying area - she emptied out the entire greenhouse, put wire racks on her shelves, and added some shade cloth. What a great idea. Do you think that would also work to dry fruits? Great post! Thanks for all the details. 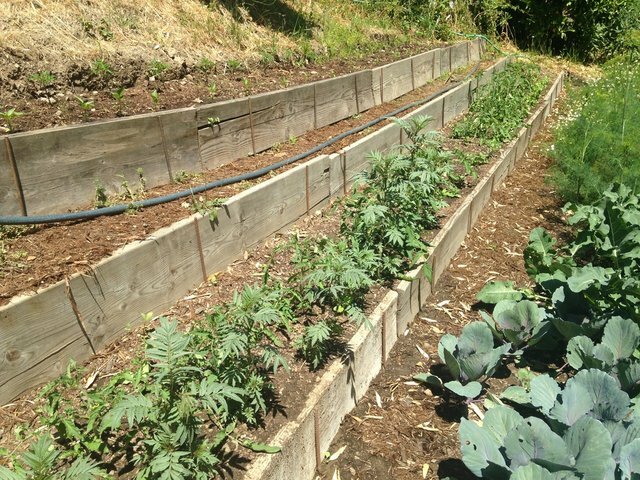 I did some research on permaculture and other interesting forms of agriculture like multistrata agroforestry for Project Drawdown which is based out of Sausalito. I love seeing posts like this on Steemit! That's awesome! I'm excited to look more into Project Drawdown, it looks like a holistic solutionary approach. Really super post @anwenbaumeister! People could really benefit from this. Resteem! The farm card seems like a good idea for both farmers and buyers. Hope the concept gets a lot exposure and adoption. what a great article. i wish i had know about the intensive! i love humboldt county and its produce. the farmers markets are wonderful. the lessons you stated here are great and i will re-reading them a few times. i myself would love a farm there but the land is rapidly being bought up by people wanting to grow "herb" instead of food. This is epic keep it up and it seriously gave me an idea that im not sure I did not think of myself. Where you cut groves into the side of the hill to plant! That should be like common sense lol but I never thought of doing that before thanks! Awesome! I resteemed to read again and take notes! So much good info!!! Very grateful you shared this with the world. reminded me of a Young Agrarian mixer I attended to see Jean Martin Fortier speak. I hope intensives like this become more common and that the info spreads far and wide! Many young / new farmers are not given the resources they need and the hand down of knowledge and experience is becoming more and more important as so many older farmers retire. you are also really lucky to live in such fertile ground, both in the soil and the mindscape of the people. Glad to find you here @anwenbaumeister ! finally following! Yes yes! I also hope these intensives and information do become more common, especially since the average age of the US farmer is 57 and there is a huge generational gap in farm knowledge! Thanks for sharing the class with us. Sounds like they hit you with a ton of information. This is really cool program or course. Great ibformation and good post. I will follow you. Looking forward to more of your posts! I cannot think of to many aspects of life more valuable than learning to live sustainably and healthfully. Thanks for sharing it with the Steemit community. We need a LOT MORE content like this! Glad to see the posts is getting some support. Thanks so much @quinneaker! I'm so happy to hear from you and loved your last improv with the didgeridoo! Grateful to connect with you and share the didgeridoo vibes! Ive been off Steemit for many months scouting land in south America. I love seeing beautiful garden pics. Everything looks so green and healthy. It looks like a great set up, and nice place to work and grow food.